On April 21st, Chris Mai and partner Frank Mamo completed the 41 mile Old Croton Aqueduct Trail, running the full length from The New York Public Library to the Croton Dam in 9 hours. 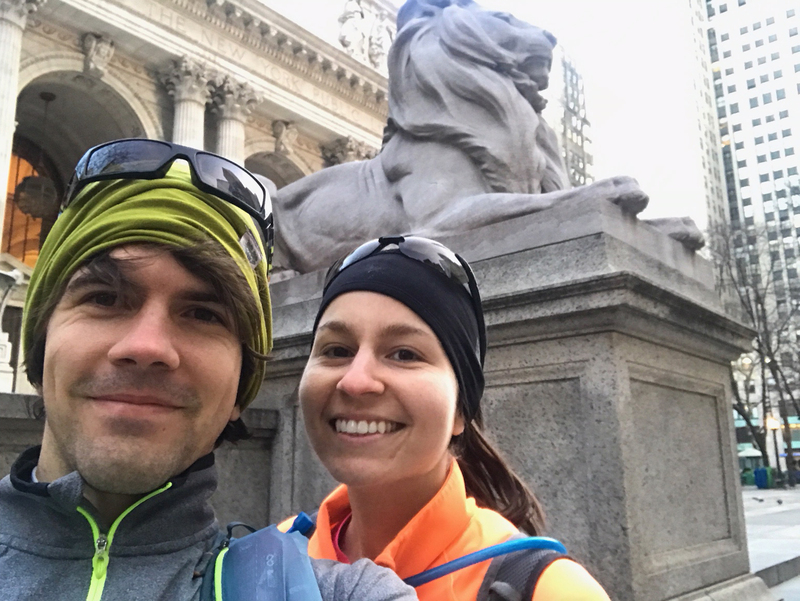 Every year, the couple runs a New York themed ultramarathon for fun. "Last year we ran from Inwood Park to Coney Island, one year we ran the perimeter of Manhattan, this year we decided to try the OCA," said Mai. The tradition started as a way to experience New York's diverse neighborhoods and long history. "The OCA is a great trail. Passing through Upper Manahttan and the Bronx, running in the woods in Westchester County, and seeing the communities along the Hudson River, you really come across every walk of life," said Mamo.